The throat chakra is the fifth chakra. Before we get into the throat chakra meditation, I want to give you a good understanding of what this chakra does. If you already know about the throat chakra, jump down to the meditation. If not, here we go. 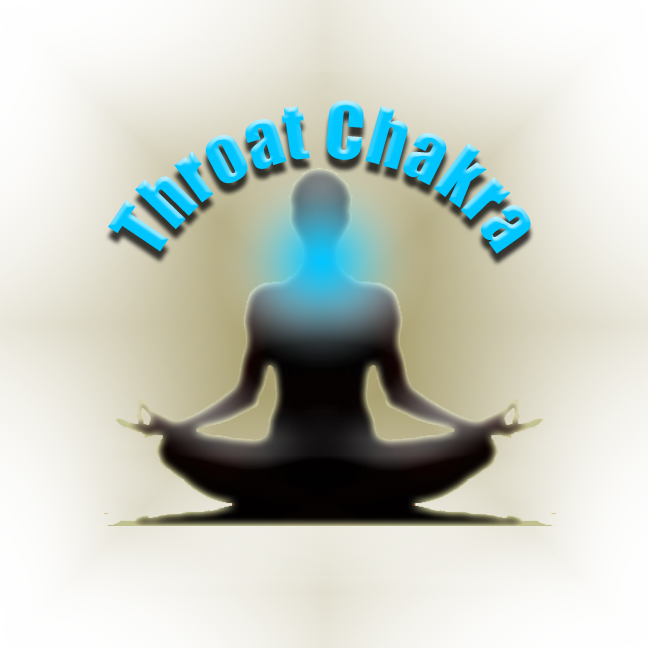 The throat chakra is located in the throat. More specifically, it is right at the V on the collarbone at the lower neck. It is the center of communication, sound and expression of your creativity through speech, thought and writing. This is the chakra you feel when you are forced to speak in front of a large crowd and your throat feels tensed up. It also is the feeling when you bottle up rage and anger and would like to say something, but choose not to. Through the throat, we express our opinions, beliefs and truths. This chakra regulates your ability to speak up for yourself and make decisions. I recall a time where I was nervous to speak what was truly on my mind. I wouldn’t express myself even though I wanted to. I decided to focus on opening this chakra and really felt how blocked it was. With each deep breath I took, I felt my throat start to loosen up more and more. I even burped quite a few times and felt my throat get more and more relaxed the longer I focused on it. After the meditation, I found myself being much more open and expressive and it felt great! Now, I rarely have trouble speaking what is on my mind or in front of others. I remember to balance my chakras from time to time and always notice I'm more open every time. If you have to speak in front of others, are about to go to a social gathering, or on a date and feel nervous about talking to others, open this chakra up before hand and you will notice a huge difference in your comfort with speaking. When the throat chakra is lacking energy flow, a person will have a fear of speaking. Their voice will sound weak and faint and they will have difficulty putting feelings into words. They will often be shy. If the throat chakra is excessively open, the person will talk too much and will not listen as much as they should. These people are known to be gossipers. The body may even react with throat soreness and pain in the teeth when this chakra is out of balance. To heal and open the throat chakra, sing loudly! Take a nice shower and sing your heart out. You can also start a discussion on any topic with someone else to get yourself expressive and talking. If you struggle with communication, learn communication skills and practice them. You can also write someone a nice letter. The throat chakra is related to the color blue, so wearing blue or eating blue foods will help in opening and unblocking this chakra. Gemstones that aid in healing the throat chakra are aquamarine, sapphire, blue tourmaline and sodalite. For this exercise, you're going to want to already know how to meditate. If you aren't quite sure, you can check out this easy Beginner Meditation guide and learn how. Once you're in a relaxed meditative state, focus on bringing energy up through your feet with every inhale. Flow the energy through each of your four previous chakras and up to your throat. With each deep inhale, imagine a blue energy glowing around your throat growing bigger and bigger. Exhale all negativity and blocks from the throat and replace them with vibrant blue energy. You may feel your throat muscles loosening up and might even burp. This is perfectly normal. Focus on breathing energy into your throat as long as you feel necessary and your throat feels open and relaxed. Once you have done this, you may move on to the Third Eye Chakra.